While most people think of their muffler alone when their car's exhaust system is discussed, it's actually a great deal more. 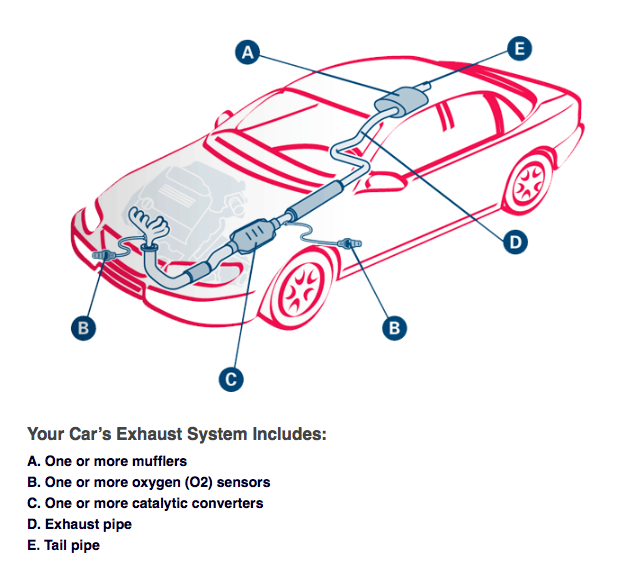 Your exhaust system is a series of pipes that run under your car connecting to your muffler and catalytic converter. The exhaust system as a whole controls noise and funnels exhaust fumes away from passengers. Here at Jacob's Autorama, we specialize in all aspects of muffler and exhaust system repair and replacement for literally every make and model of car. We also offer Free Inspections on site to determine the health of your exhaust system as well. Is your vehicle in need of repair or inspection? Give us a call at (301) 340-1488.